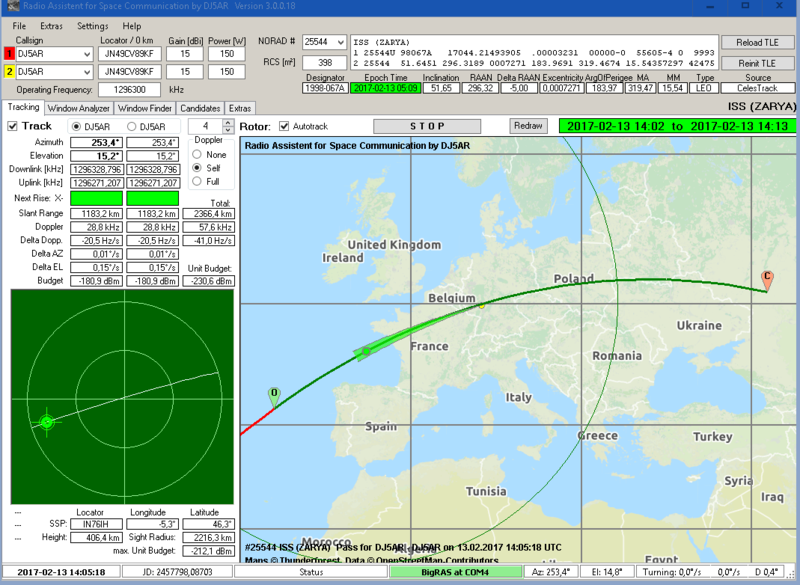 Today another ARISS contact has been established between Thomas Pesquet, FX0ISS aboard the Intenational Space Station and Collège André Malraux, Chatelaillon-Plage, France. As expected, the onboard DATV transmitter (HamTV) was in operation. Blank transmissions have been received earlier, but today I could receive the TV pictures for my very first time. There was a lot of fading, but I managed to record a couple of sequences. As the pass went overhead, I lost the signal, when the ISS approached the zenith, because the rotor had to turn 180° and it is too slow to catch up the bird again (full length video here best quality from 2:50 to 4:50). The frequency used was 2.395 GHz. The equipment installed for reception is a 3 m dish with linear polarisation, a Kuhne MKU LNC 23 converter and a TT S2-3200 DVB-S receiver card in my PC with Tutioune3200 DVB-S software by F6DZP. This entry was posted in ARISS, HAMTV, ISS and tagged 13 cm, 2320 MHz, ARISS, DATV, DVB-S, FX0ISS, HamTV, International Space Station, ISS, Thomas Pesquet on 2017-02-13 by admin.